Many thanks to Indigo Schuy for starting a collection of earned half marathon, marathon and triathlon finishers' medals for Medals4Mettle! 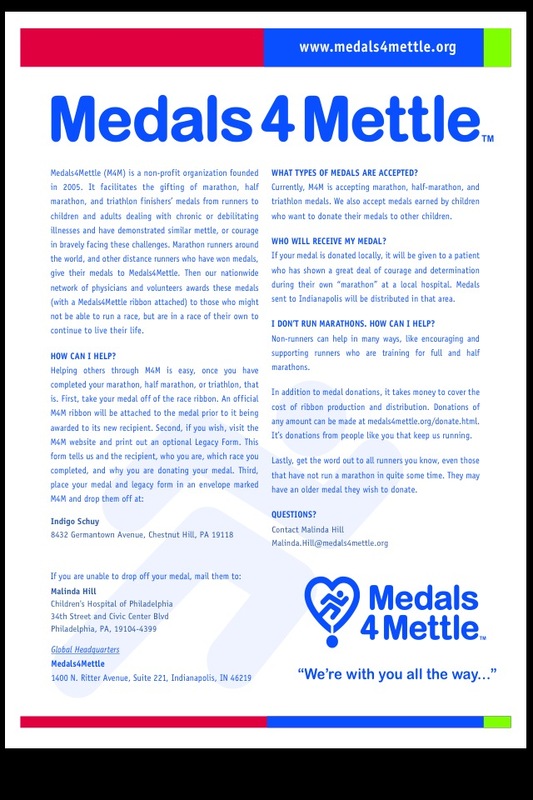 For more information about Medals4Mettle, visit: www.medals4mettle.org. 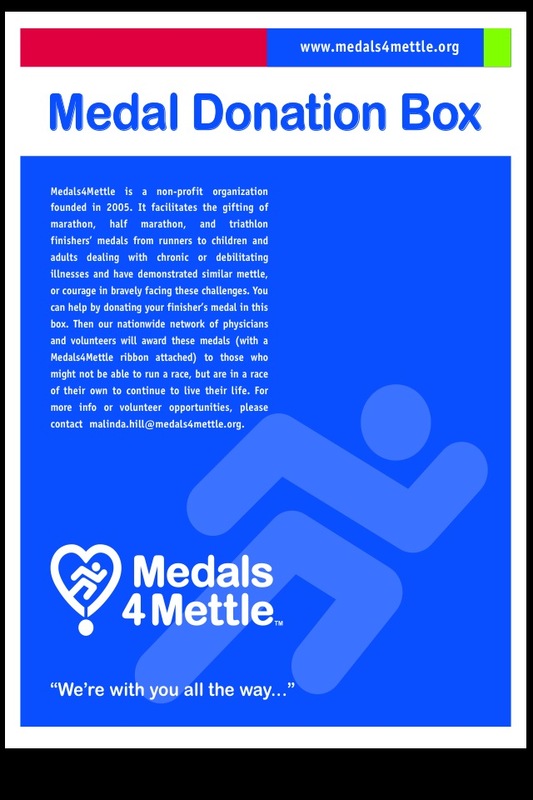 For more information about the Philadelphia Chapter, contact Malinda at Malinda.Hill@medals4mettle.org. Thanks for your support!